TSU, MIE PREF. - A state-run university and a municipal government in Mie Prefecture are trying to dig deeper into the lives and history of the ninja, the warriors and mercenaries of feudal Japan, with academic and scientific approaches. 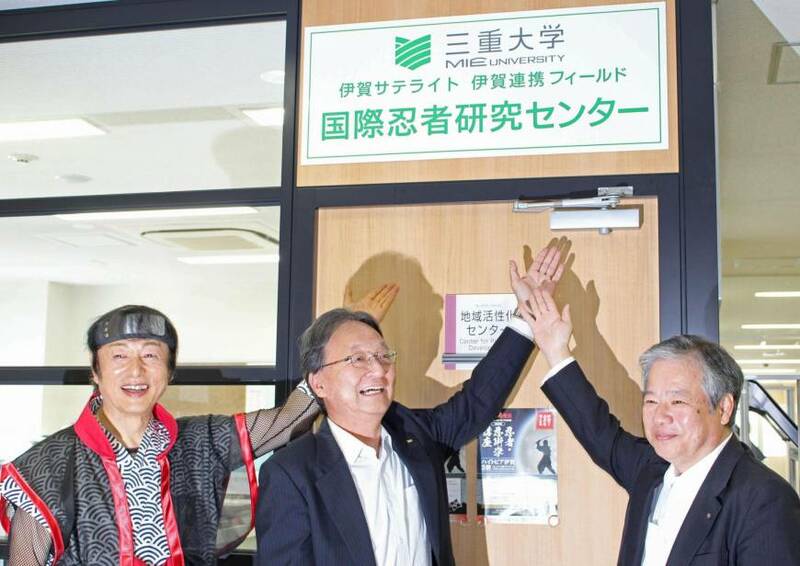 Mie University and the city of Iga, the birthplace of a prominent school for teaching stealth ninja skills used in espionage, guerilla warfare and combat, opened an “international ninja research center” on July 1. 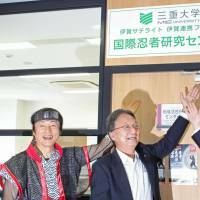 After five years of studies and preparation in collaboration with the local chamber of commerce, the center is collecting and creating a database on a broad spectrum of ninja-related materials ranging from old manuscripts to films and cartoons. Its activities also include a dietary analysis of the light but nutritious ninja rations that helped them ensure mobility while on a mission, with an eye on developing and, if successful, commercializing emergency or functional foods with support from the science faculties at the university. The people involved hope the research center will disseminate the information in conjunction with the city’s name within Japan and abroad. “Ninja wisdom tells us a lot about how to coexist with nature at a time when we are surrounded by machines and the artificial materials of the modern age,” said deputy center chief Yuji Yamada, a professor at Mie University. “Hopefully our research and studies will shed new light on what ninja were like and how they changed as times went by through investigations into and the deciphering of historical materials,” the website of Yamada’s faculty said. “Ninja have become widely known beyond our country’s borders, but they have not been seriously dealt with from an academic viewpoint,” it said.